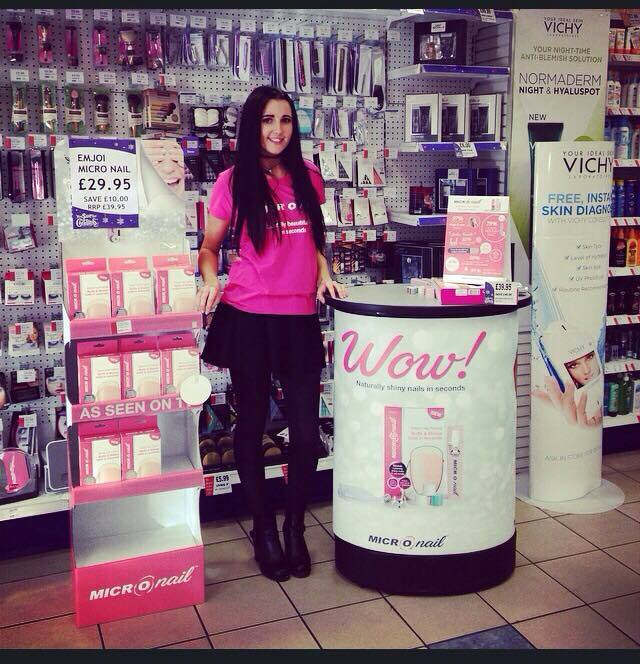 Astute Staffing we're literally 'on hand' promoting MICRO Nail. MICRO Nail is an electric nail polisher that effortlessly buffs, smooths and shines nails in seconds so you can have great natural looking shiny nails without needing to use any products, finishes or treatments or time-consuming manual nail buffers. Claire from Astute Staffing commented "It really is a fabulous product. I personally spend way to much time and money on my nails and MICRO nail is so easy and cost affordable to use" You can find MICRO Nails on promotion at Gordons Chemists around Northern Ireland in the lead up to Christmas. Happy Buffing! !